Twelve-year-old John Fischer Jr., or "Little John" as he’s always been known, is spending his summer helping his father with his tree removal business, clearing brush for Mr. King, the wealthy owner of a chain of Texas dollar stores, when he hears a beautiful song that transfixes him. He follows the melody and finds, not a bird, but a young girl sitting in the branches of a tall sycamore tree. 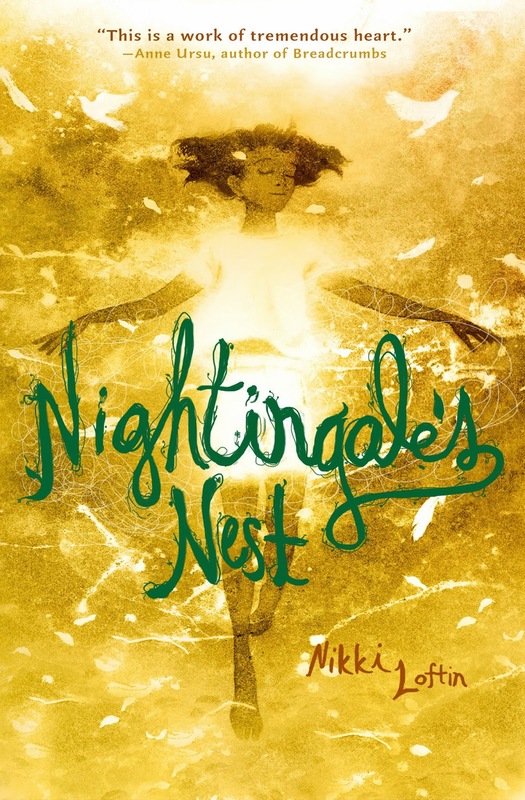 Inspired by a Hans Christian Andersen story, Nightingale's Nest is an unforgettable novel about a boy with the weight of the world on his shoulders and a girl with the gift of healing in her voice. Join us this Saturday, February 22nd for the book release party at BookPeople. Can't make it? They ship worldwide! The vibrant cover draws you right into a story about a young boy named John who has a less than wonderful home life and who befriends a young girl, Gayle with a gift. An amazing gift that is sought after by the richest man in town (But why? It's a secret! ); a man who can make John's life worth going home for. With his mother in a semi-constant state of confusion due to a family tragedy, and a father who spends the rent money on booze, a positive change is what John seeks most. His meal ticket lies with Gayle and her unexplainable talent. John faces many choices and often doesn't make the right decisions, and when the book comes to an end you know the story couldn't unfold any other way. Simply beautiful and one that I still think about months later! Mom didn’t answer. Her back was to me, and she was scrubbing at the skillet like it was stained with something worse than bacon grease. I went out to get rid of the dead bird. I didn’t mind dealing with birds, alive or dead. I’d spent a long time reading about the kinds of birds that lived in our area. When I was little, I’d wanted to grow up to be a bird scientist. My grandma told me the word was ornithologist, and said I could be anything I wanted. I think she might even have believed it. Three years ago, before she died, she had bought me four different bird books for my birthday. The Audubon and Peterson’s guides were my favorites; they were really expensive ones with color pictures and hard covers. She’d written inside the flaps – “Love you forever, Grandma.” Reading them made me feel closer to her, and I took good care of them. Since she was the only grandparent I’d ever known – the rest had been dead a long time before I was born – I knew I wasn’t going to be getting any more bird books. Or anything much else, for that matter. I’d practically memorized some of them. At first, I’d read so I could answer Raelynn’s constant questions about what kind of birds she saw in our backyard. But then it had gotten fun, just to know so much about something nobody else did. To be able to listen to a bird sing and recognize its call? To know from the colors and shape of its wings when it was flying, what kind of bird it was? It made me feel smart. Of course, I knew I wasn’t smart – my report cards from school told the whole world that. And when I’d taken my bird books to show-and-tell, my fourth grade teacher, Mrs. Tomme, made sure I knew I wasn’t ever going to be an ornithologist. “You can’t even spell it, can you, boy?” she’d said. “Be realistic. It takes superior intelligence to pursue that sort of occupation.” She’d liked to use big words; I thought she did it to make me feel dumber. Maybe knowing kinds of birds wouldn’t matter to almost anyone – it was a sure thing no teacher would ever care. But it had mattered to Raelynn. She’d thought I was the smartest big brother in the world.